We make every effort to create the best possible product, but occasionally something slips by. When we learn that there is an error on one of our patterns, we immediately correct it for future printings and we’ll publish the error notice here. However, there may still be some patterns on the market that may contain an error. As a result, when we learn of an error, we also post a printable PDF link of the corrected pattern page(s) here so you can review your copy and make sure you have (or can print out) the correct information! Below you’ll find an alphabetized list of all our patterns correction(s). You can also find those corrections by clicking on the pattern in question on our “Shopping” pages. If your pattern has a correction, you will find it listed in the description along with a printable PDF link so you can review your copy and make sure you have all the correct information! If you think you’ve found an error, please check here first. Nothing published? Then please write to us at susiecshore@aol.com or call us at 623-214-2311, and we’ll figure it out together. Please accept our apologies for any inconvenience caused by an error. Oops!! We omitted ¼ yd of Heat-N-Bond fusible adhesive from the “Material List”. 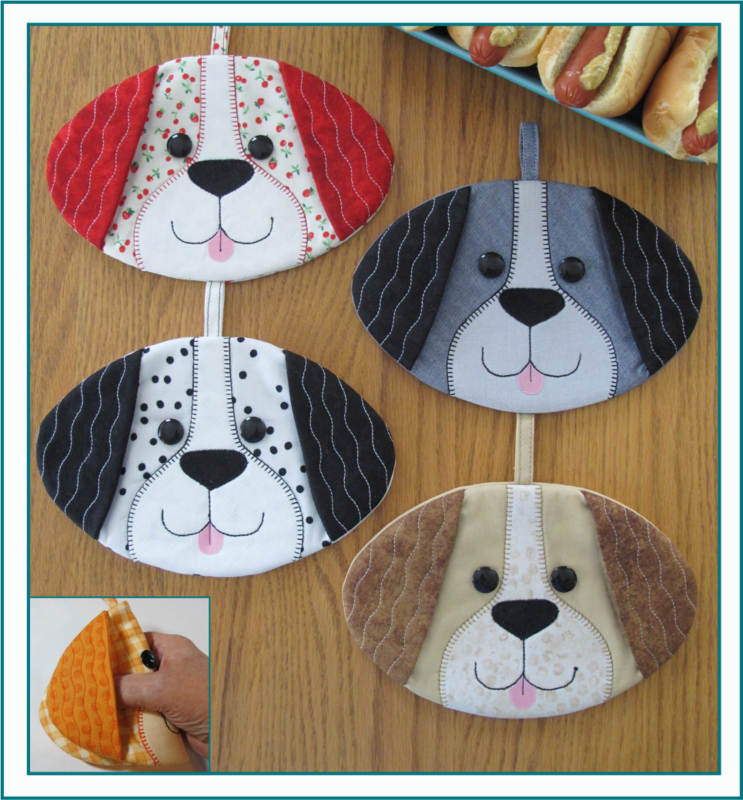 Heat-N-Bond fusible adhesive is used for the Muzzle, Nose and Tongue appliques. It fuses the appliques’ edges flush on the bottom material so that when you machine-stitch the appliques in place they will not move and the edges will not pucker. You can use a temporary spray adhesive or a washable/temporary glue stick instead; just make sure the appliques’ edges are well fused to the bottom fabric so they will not move and the edges will not pucker while stitching appliques in place. Correction For Front Pocket Cutting Instructions - Page 1. ● Cut TWO 12" x 7" pieces from the Contrasting fabric and TWO matching pieces from the woven interfacing. Fuse the woven interfacing pieces to the wrong sides of the cut fabric pieces, following manufacturer’s instruction. Layer pieces wrong side together and trace around the Wing Pocket template once, then flip the template over and trace another Wing Pocket. Do Not Cut Out. Set aside. Correction For Purse Flap - Page 3. 11. Center prepared Flap between ears, with the wrong side of the Flap on the right side of the back Owl Body piece, and pin in place.12. Arrange top edges of prepared lining (with the Inside Pocket towards where the back Flap is pinned in place), right sides together with the prepared Owl purse, and pin together, pinning up each extended Strip. Using a ¼” seam allowance, stitch around the top edges of the purse opening and up each Strip. You can push either the purse or lining inside the other to make sewing together easier; just make sure they are pinned together in the proper order, right sides together with the Flap in between (Flap’s wrong side to right side of the back of the purse). Click on link to download PDF of Who's Night Out #ST-1331 corrections.